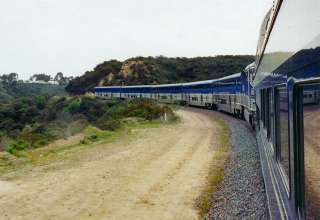 Travelers must be flexible, curious, observant and have a sense of adventure. They must understand transportation and be open-minded to learning about new places, cultures, people and foods. 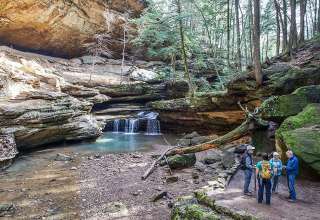 If you want kids to be open to the world and open to the beauty that surrounds us, there are ways to help guide them along and then the sky is the limit. 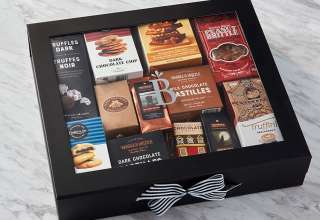 Here are a few fun fabulous gifts that can inspire kids and even adults. 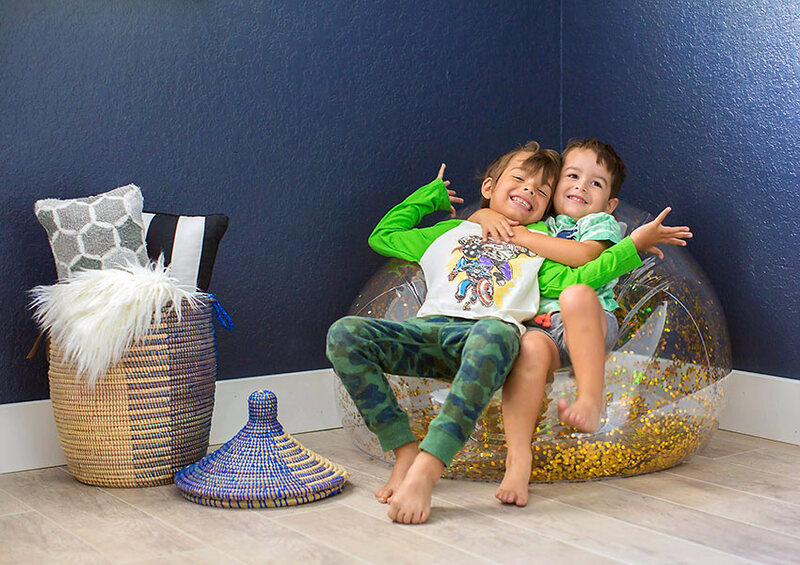 One of my personal all time favorite gifts is Budsies – a super cute, creative way to cherish kids creations. 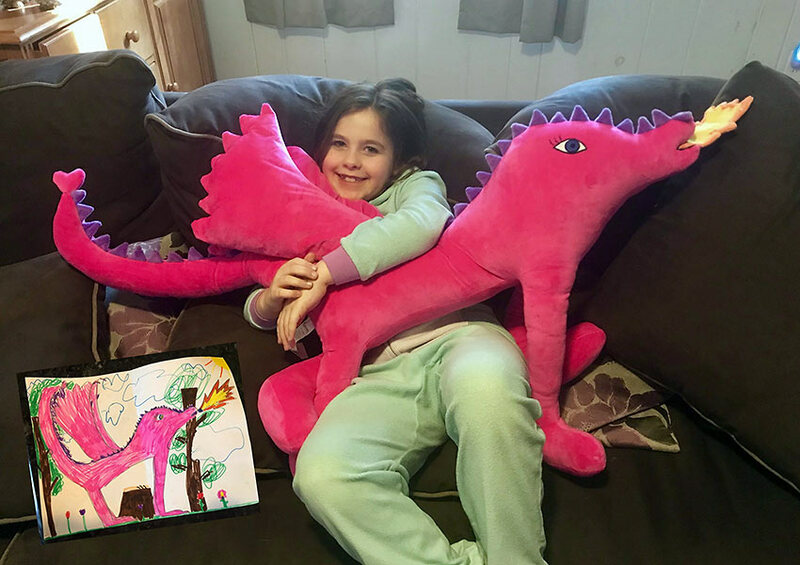 They turn children's drawings, artwork or a photo into a custom, handmade stuffed animal. So if your little one draws a picture of themselves in front of the Eiffel Tower or the Sydney Harbor Bridge, you can give them the gift of turning their creation and forever imbedding the location in their hearts as it comes to life in a stunning stuffed animal. Budsies are designed and handmade (mainly) in the USA and are the results are absolutely gorgeous and most important meaningful. 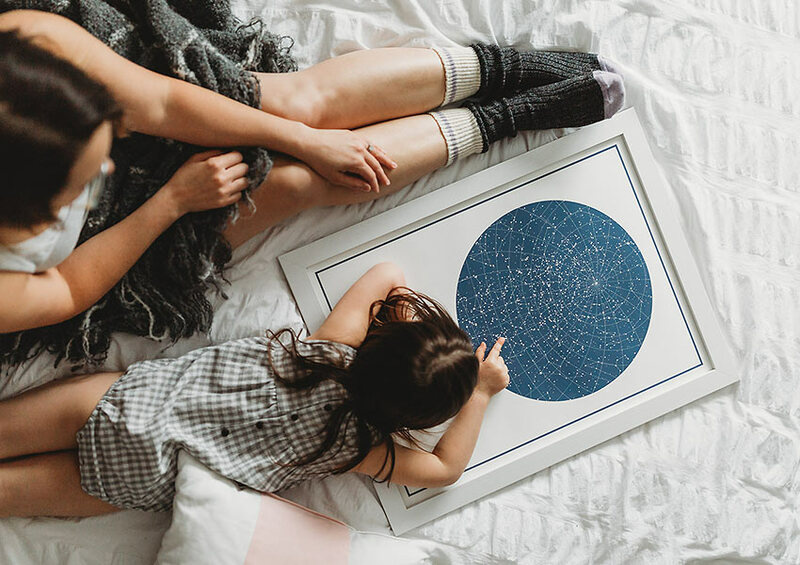 It’s written in the stars and The Night Sky is both beautiful and an educational way to commemorate a special occasion. The Night Sky arrives as either a poster or a framed print. It is created by using the star catalog of the European Space Agency's Hipparcos mission, a high precision catalog of stars generated by the Hipparcos space-based telescope. 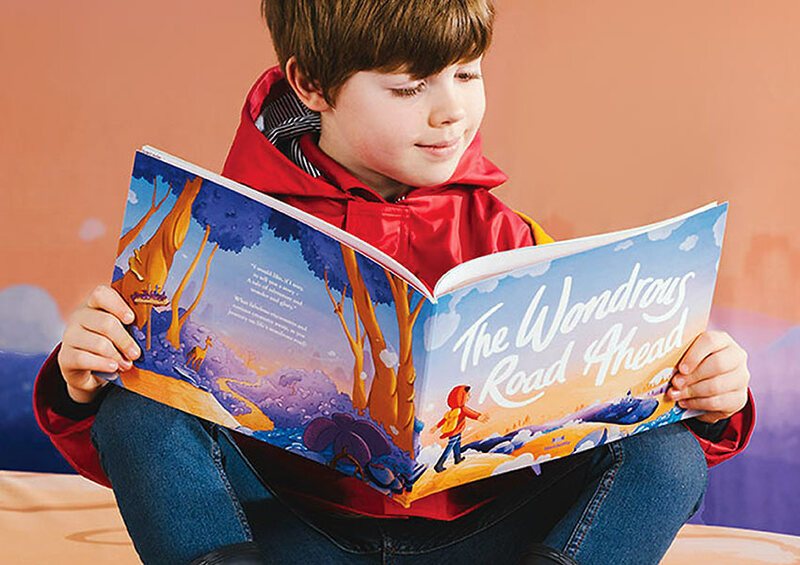 An all time favorite is way to teach kids about travel is through books and Wonderbly’s “The Wonderous Road Ahead" is truly a special way to make a child feel unique and loved. The book allows the gift giver to choose from three qualities that they want the child to feel passionate about. The choices are Kindness, Bravery, Curiosity, Determination, Respect, Honesty – the story is personalized and it brings up the chosen characteristics. The book then takes the reader on a personalized magical adventure that is filled with gorgeous, colorful pictures. Traveling can be stressful, especially with younger kids. 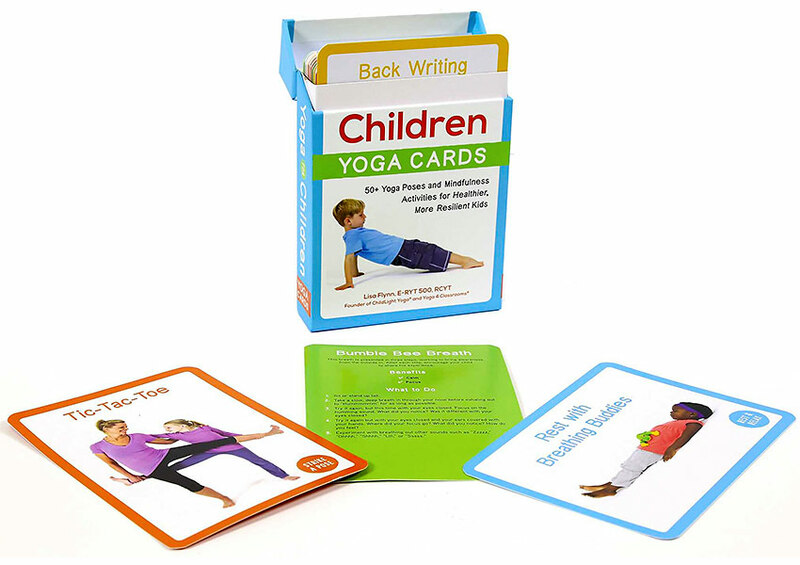 One great gift is to teach your kids about yoga and mindfulness is the new Yoga for Children – Yoga Cards, by Lisa Flynn. The yoga activity cards are fun. There are over 50 cards with colorful photos and easy instructions. It is a calming activity that can be done at home, in hotels and even at the airport. They are four color-coded categories: Mindful Me mindfulness activities, Time to Breathe breathing exercises, Strike a Pose yoga poses, and Rest & Relax relaxation exercises. 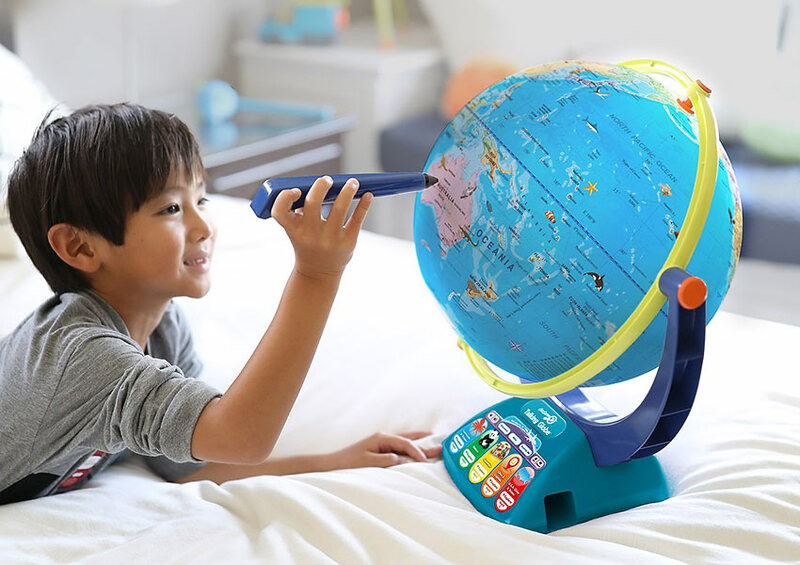 A great way to open up the world is to bring home the GeoSafari Jr. Talking Globe narrated by Wildlife Warrior Bindi Irwin. It provides a high-tech, hands-on, interactive introduction to geography. It’s also a great way to show kids how to explore without leaving your home, as it shows them how to find locations, animals and nature. 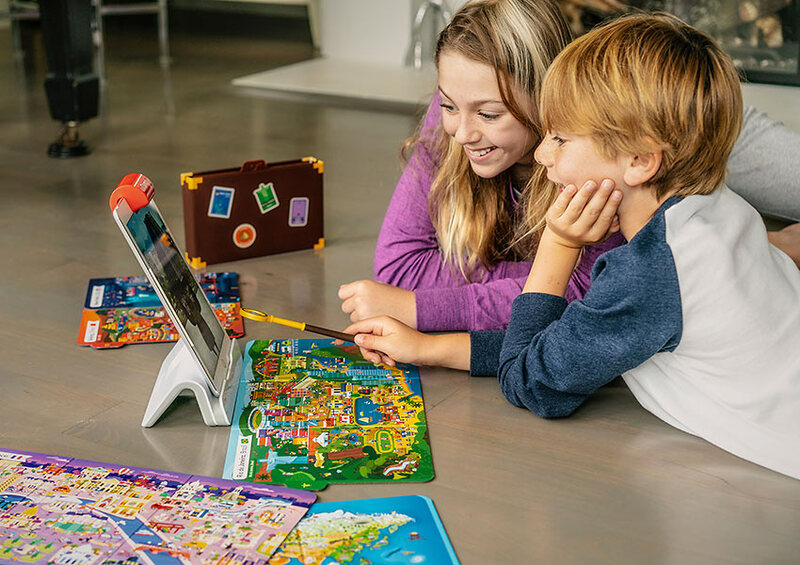 This game is entertaining, educational and a blast for both kids and their parents to play with both at home and is perfect for airplane rides. Generally, I’m not a fan of IPAD games, but this one is enchanting, especially as it is a physical-digital, search-and-find experience. 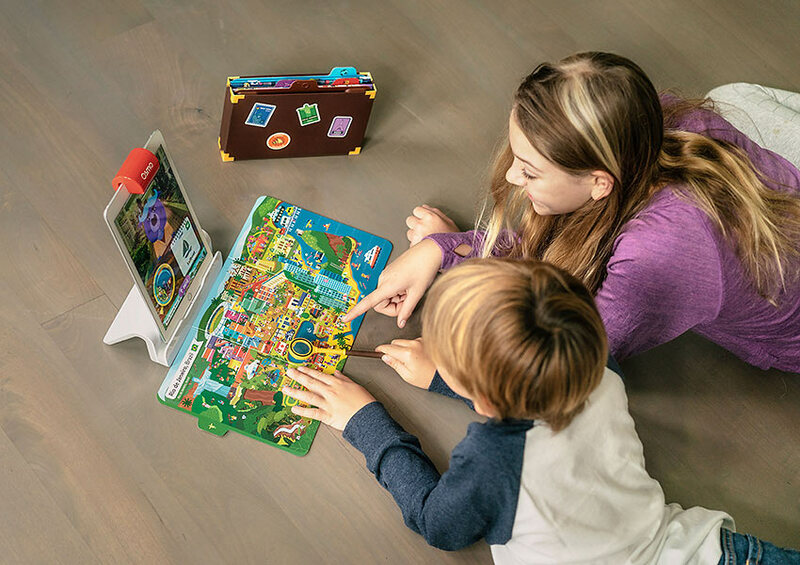 The Detective Agency uses Osmo’s proprietary Reflective AI technology to let iPads, and Kindle Fires “see” objects in front of it so kids can use anything – hands, blocks, maps, a magnifying glass, to control the on-screen action and story. 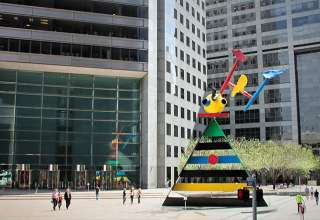 The game teaches geography and culture while players track down missing item across Paris, New York, Beijing, Rio de Janeiro, Cairo, Sydney, Osmo Town, and the World. The clues are hidden in the fold-out maps of each city, and players use a real-life magnifying glass to unlock the next chapter in each story. It’s a winner game. 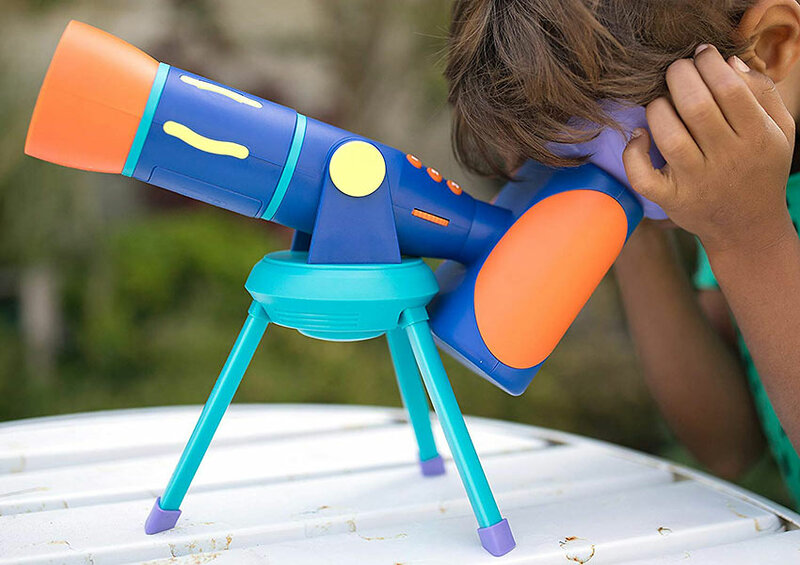 The sky is the limit and a great way to explore the solar system is with the GeoSafari® Jr. Talking Telescope™. 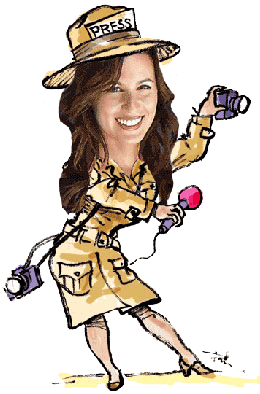 The telescope talks to you and will educate both kids and adults alike will learn over 200 facts. It also provides images of planets, stars, and space and includes images from NASA! PLAE Shoes are all about playing, having fun and making happy memories for kids and adults alike. The shoes are comfortable, well made, cheerful and are made with recycled and non-toxic materials and operated in a solar powered fair-labor factory. 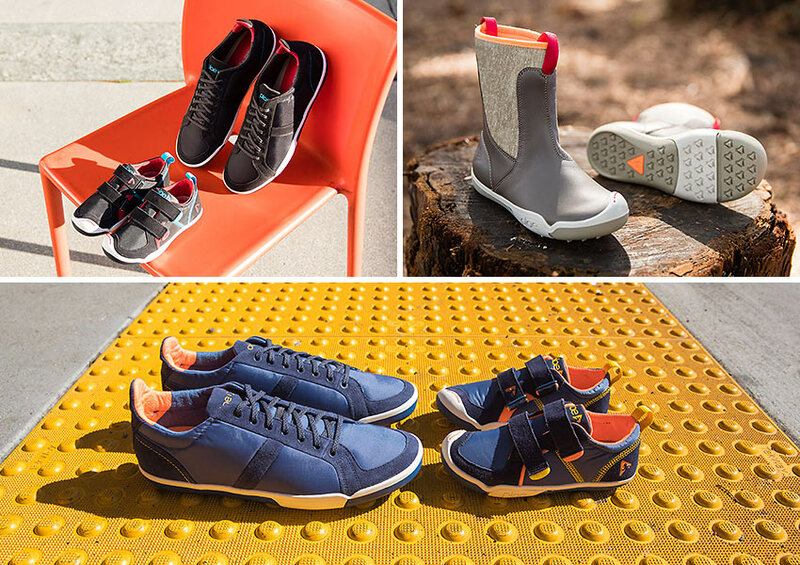 One of their latest endeavors is creating adult shoes to match kids shoes called Sidekicks. It is an adorable option for Moms who never have truly good options to match their little boys in a significant way. Plus shoes are great for travel, lightweight and truly playful. 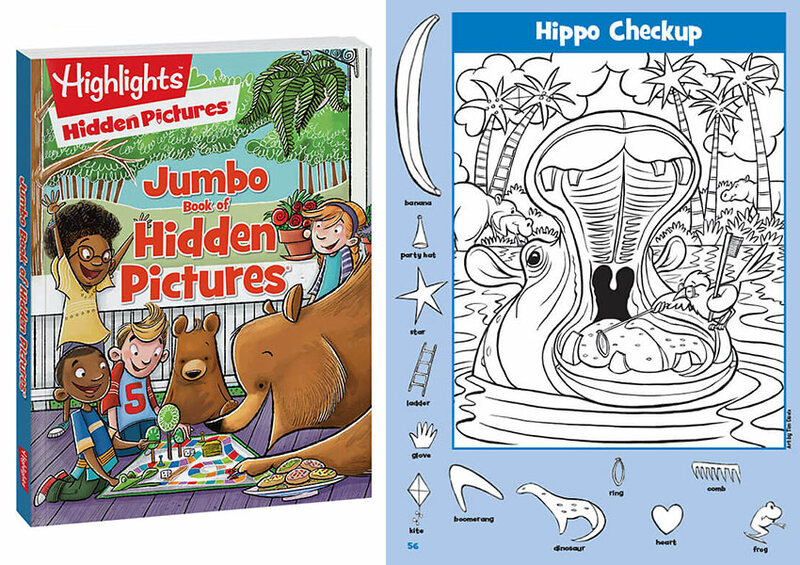 If you want to teach kids how to notice the details in the world around them, the Jumbo Book of Hidden Pictures is a fabulous option. 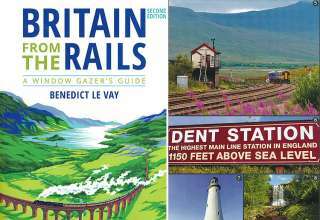 It is a collection of more than 175 illustrated Hidden Pictures puzzles. It’s a brain- teaser for both kids and adults, and helps teach observation and concentration skills. There are over 1,500 objects to find. Part of travel is seeing the art of every town, city and country whether it is on the wall of a museum or the building in a city. Now you can take those photos in front of the Great Wall of China, from an African Safari or the Empire State Building and transform them into artwork. The smART sketcher allows children and adults to transform photos taken from their smart devices into a sketch. The free app allows photos to be filtered and transferred via Bluetooth to the projector. Instantly your artist in training can find their desired image projected onto paper. Made in Denmark, Plus-Plus is a creative toy that provides endless ways to create wild animals, buildings, and designs. 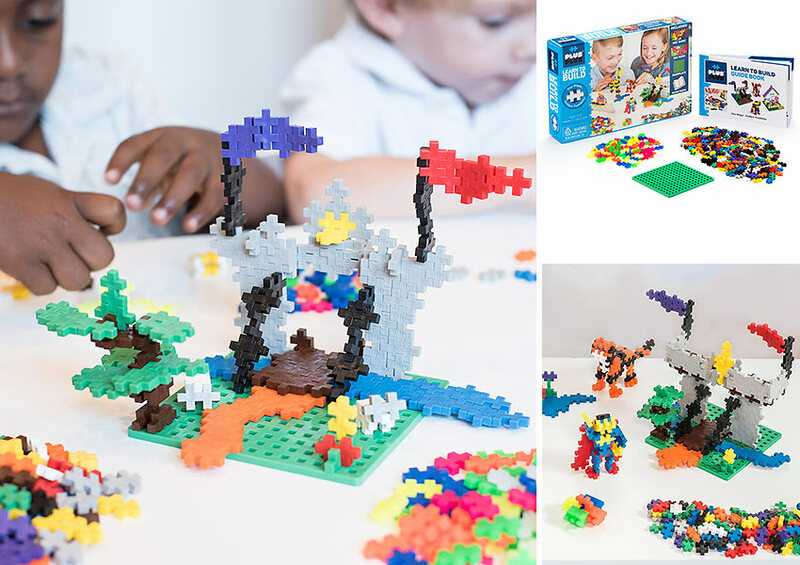 The Plus-Plus Learn to Build set contains 400 pieces, a base-plate and a guide book. Player can build in 2D, making patterns and mosaics, and then try their hand at 3D building to make people, animals and more. Travel involves new places, faces and foods. 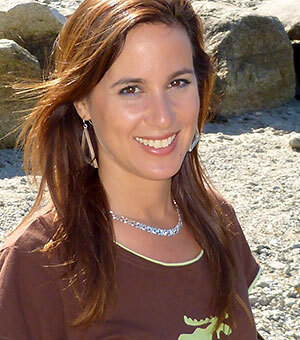 The Super Food Explorer Kit, created by Dina Rose Ph.D. who is also the author of “It’s Not About the Broccoli: Three Habits to Teach Your Kids for a Lifetime of Healthy Eating” is a fun way to introduce kids to the discovery of new foods which is an integral way to experience travel. 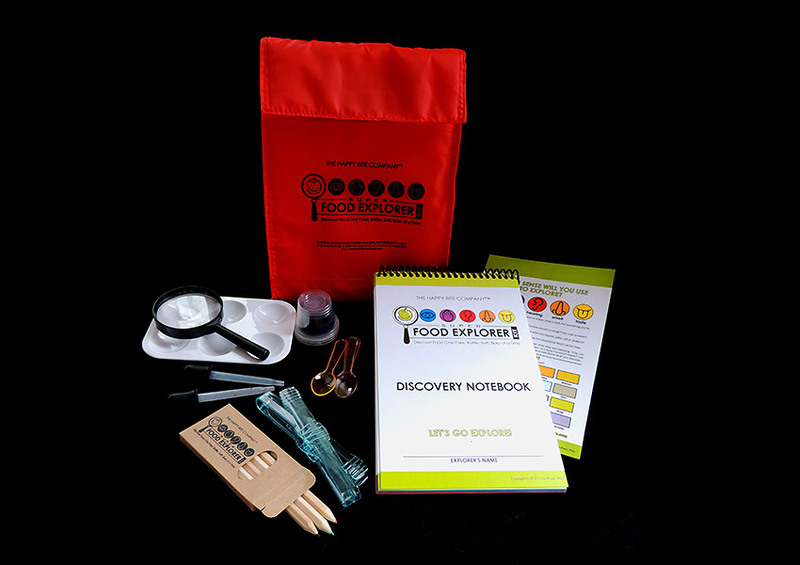 The Super Food Explorer kit contains many items including a magnifying glass, kids tongs, eye droppers, mini cups, and exploration tray and more. The 1-2-3 Build It™ Rocket-Train-Helicopter shows kids that if you can create transportation, you can operate it. 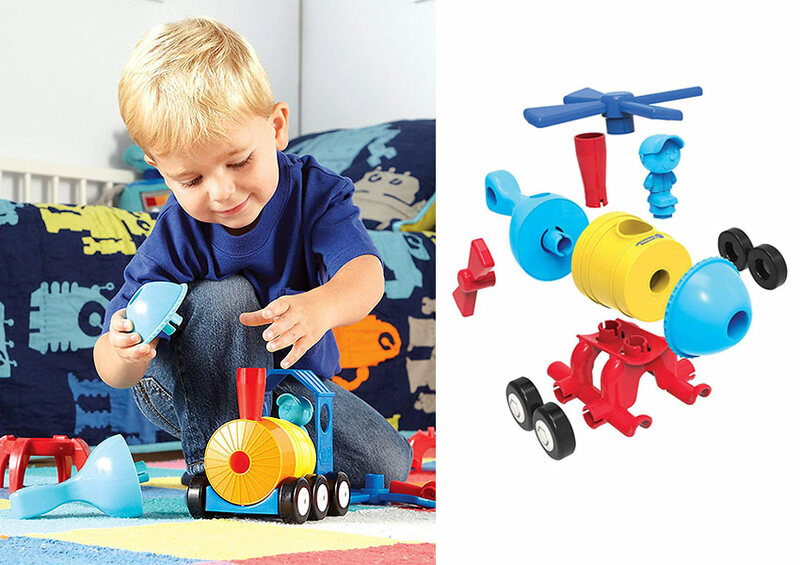 The toy comprised of 15 pieces provides clever mix-and-match pieces to build three different modes of transportation — a rocket, a train, or a helicopter, one at a time. Creative kids can also come up with their own unique form of transportation by combining the parts in different ways! 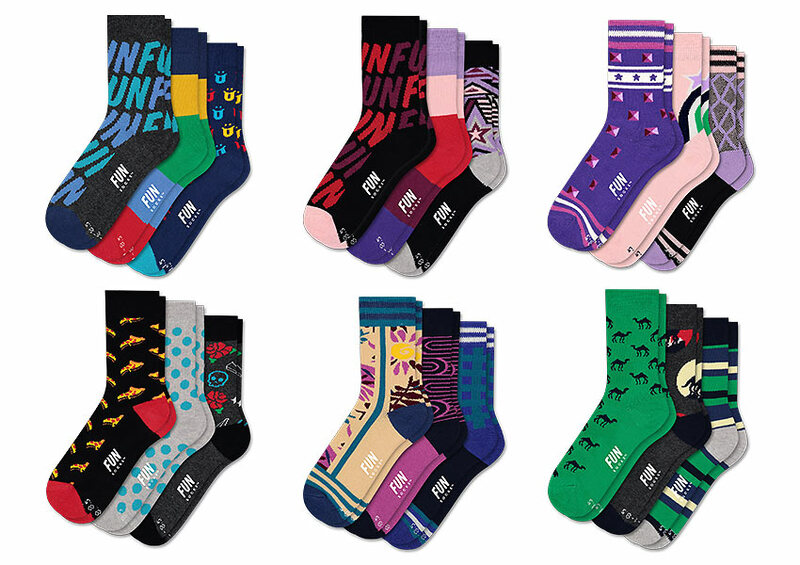 Traveling is fun – and so are “Fun Socks” – especially as they come in packages of three – which makes it useful because they can be mixed and matched. You can always make a pair out of two of them that are not the same design, which is the trend these days. Also if you lose one along the way while traveling or somehow one magically disappears you can use the one you have with the other designs in the pack. They are soft, durable and cheerful. Kids like familiarity and fun, and Mainstays Kids Inflatable chairs are a great way to make your little ones feel at home in any hotel or new travel location. They are filled with Gold Holographic foil glitter in the shape of pentagons. It is easy to blow up – just use a hair blow drier. An added bonus, they are lightweight. The chairs are a great gift for both boys and girls. 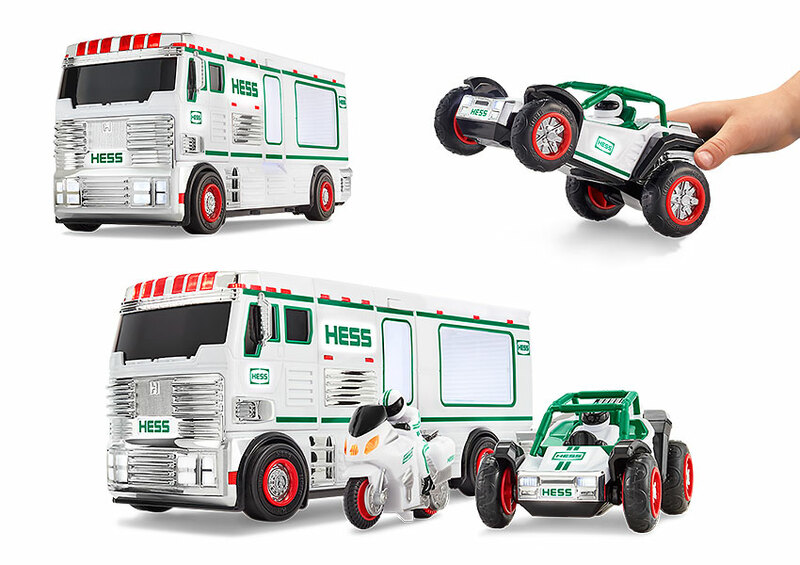 Hess Toy Trucks are one way of keeping young kids entertained while on the road, and they teach about travel as they are created depicting different types of travel. This holiday season the 2018 Hess models are an RV, ATV and Motorbike set. They are sleek, loaded with lights and exceptionally well made with switch-activated lights. The details are sublime and the quality excellent. Best part batteries are included, so it’s ready to roll when you are! When exploring the wild world, you inevitably will run into critters both big and small. 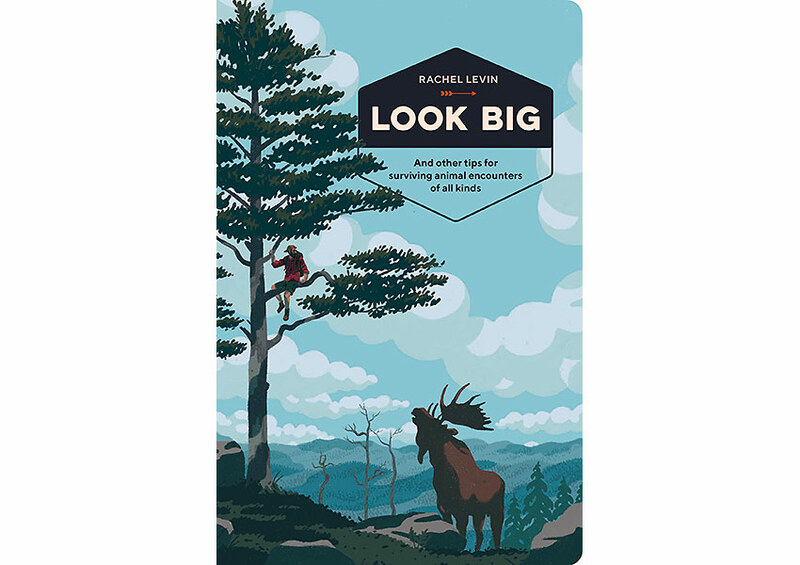 In this book, "Look Big: And Other Tips for Surviving Animal Encounters of All Kinds" by Rachel Levin, she provides an illustrated field guide to avoiding interactions – both dangerous and annoying – with 50 wild animals, including survival techniques, wildlife etiquette, and other essential advice. It might be winter, but one heck of a great gift is summer camp where kids can experience a whole new world. One avenue to explore is the Maine Camp Experience where kids unplug from technology and connect with nature. 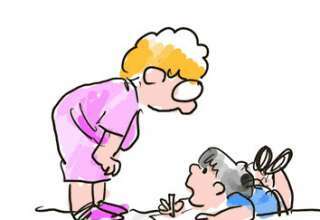 It provides an opportunity to learn communication skills and participate in outdoor activities. 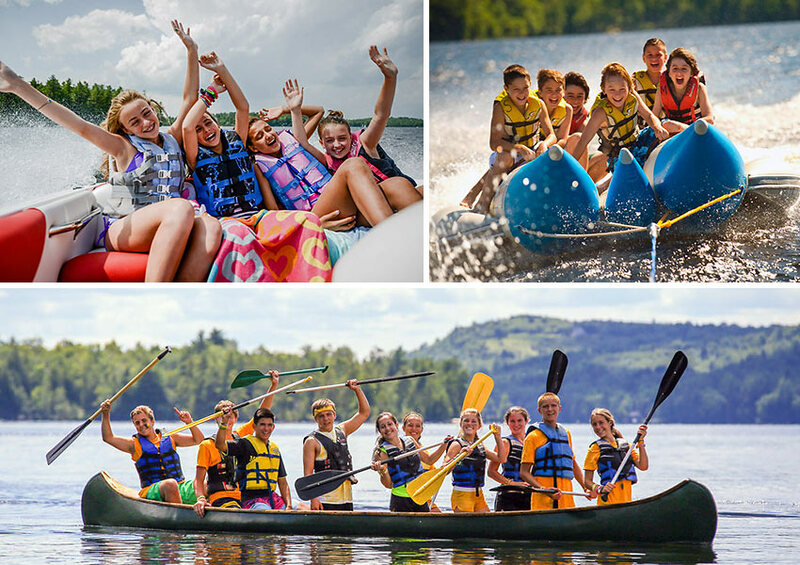 Campers get to try new things such as horseback riding, sailing, lacrosse, ceramics, playing guitar, acting in plays, taking overnight wilderness trips and much more. Also it is a great environment to try new activities and overcome fears. 19. The Melissa and Doug Water Wow! Reusable Color With Water Pad 3-Pack – Farm, Safari, Under the Sea are both educational for travel and useful while actually traveling. 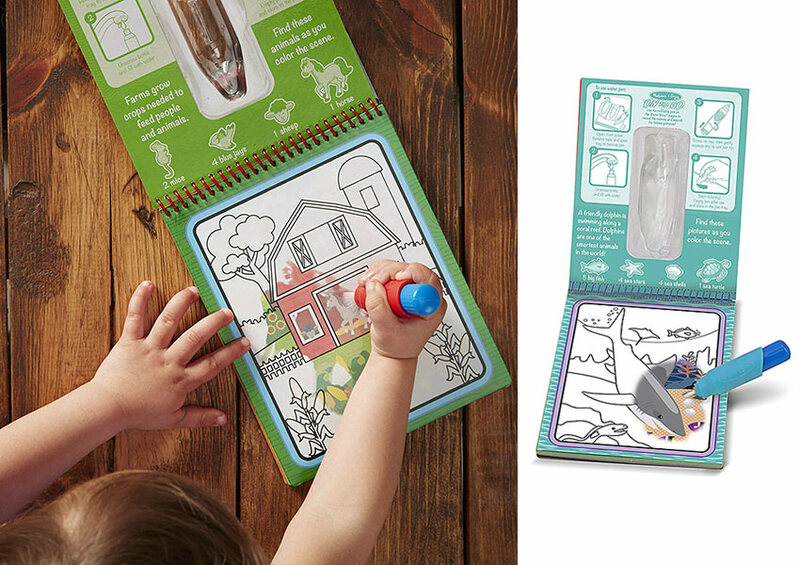 The coloring books use a refillable water pen to color on re-usable pages that depict an ocean theme, a safari and sea creatures. They can be used to teach kids about can new animals and the environment. 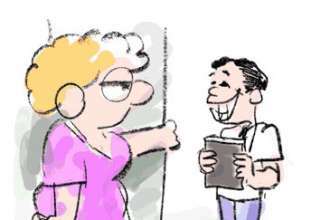 It’s both practical while traveling as well as a clever teaching tool. Science makes travel possible, so why not explore new worlds while you are at home. 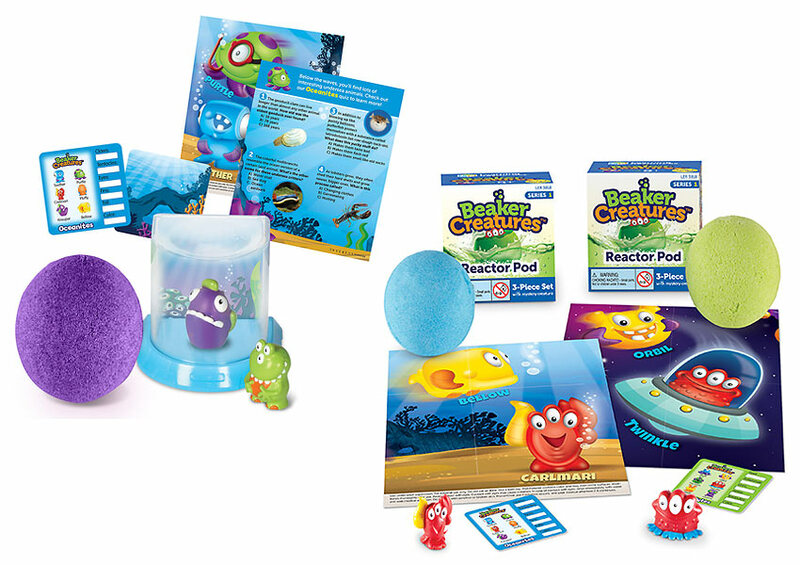 Beaker Creatures™ provides hands on science experiments. While the set explains how they are cute characters that hail from distant worlds, the game provides a working lab including fizzing reactor pods. The kit is a good way to foster a curiosity about the world around us and how it works.